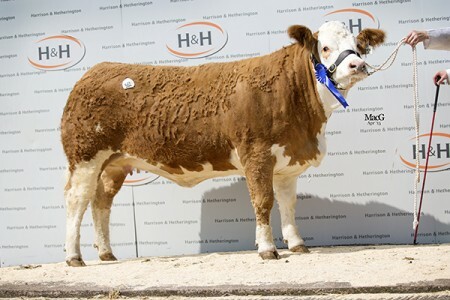 Another successful Stirling sale with seven bulls gaining two 1st prizes a 2nd, 3rd, 4th and 5th. 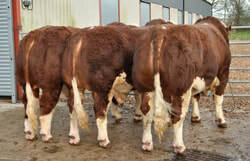 They sold to a top of £10,500 for Kilbride Farm Emperor and averaged just over £6,000. 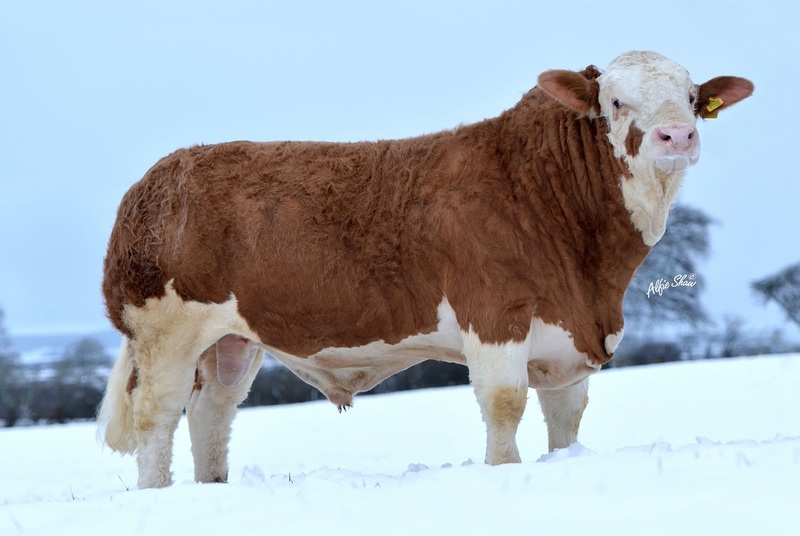 We are one of the largest, longest established, most successful herds in the British Simmental herd book. 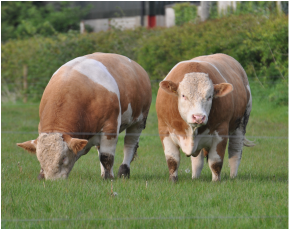 Kilbride Farm bulls have won more supreme championships at the Perth/Stirling sales than any other he﻿rd.